When our girls were about two months old or still infants, and we were traveling, we would take a pack-and-play with us that we would then have them share at our destination. If we were going to be visiting family or friends, we could often borrow a pack-and-play there at their home. Our girls can then each have their own place to sleep. When our twins are still very young as infants, like at two months old, they were still sharing a crib at home. So sharing a pack-and-play on the road was not a big deal. 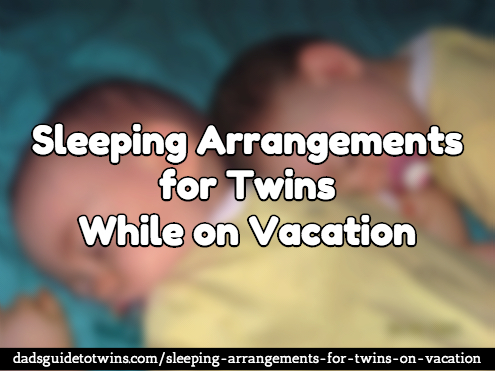 If your twins are in separate cribs already, you may want to consider separate sleeping arrangements for them while you’re traveling. 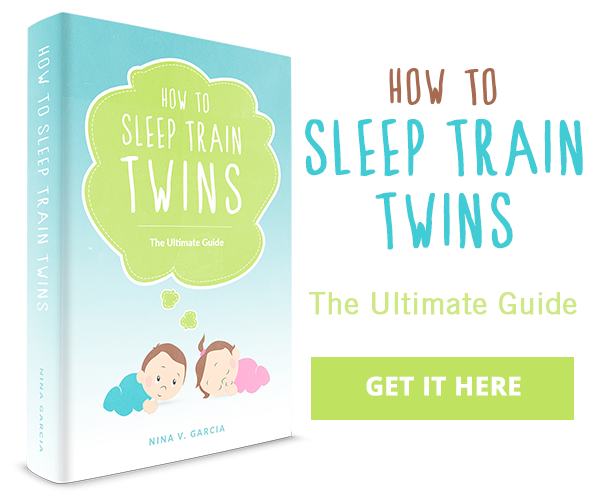 Some other options to consider when you travel with your twins is that you can sleep them on the floor. You can make up a bed on the floor with a blanket on the floor. Odds are at two months, they’re not going to be going too far. Also consider that some hotels that you may stay at have cribs that you can borrow. So if you’re staying in a hotel or motel, you may want to call ahead and see if they have cribs that you can borrow for your twins. Some hotels will restrict the number of cribs that you can borrow to just one, so make sure that they can accommodate you before you show up. @Jason – Nice move calling ahead to confirm what was available. I’m sorry to hear the return trip was rough. Hopefully, that didn’t undo your entire vacation.